Titling your blog with a very attractive title is important. But, coming up with an ideal title for a blog can really be an intimidating task, at times. The title should be accurate, eye catchy and data driven. The block title plays an important role in captivating readers and making them to click and read the content that you crafted. If you are among those who cannot come up with actionable headlines, worry not. Now, instant blog title generators are there to help you. Before you start know about free keyword research tools to identify the perfect keywords. The use of blog title generator tools make sure that your well written blogs don’t go unnoticed ever and get the attention they need and deserve. This is a simple to use tool which generates exclusive ideas for any niche or subject. You just need to type the subject and this tool will offer you a unique title. Using this title generator tool is as simple as posting keywords in the Google search box. Portent will offer you with killer titles and will explain you WHY it suggested the title. This tool is not just playful and lively in its look, but also very powerful in the manner it offers the titles because it explains why a title will work the best. This is a simple tool used to generate a creative and catchy title for the blog post. This tool has an option to choose the kind of keywords you are using. Moreover you can choose the kind from drop down box called “describe your keyword”. With this tool you will get options such as Brand, event, generic term and more. Simply enter your keywords and hit submit button. Using this tool, you can easily generate many titles and then choose the most compelling one from them. Never Mess With Blog Title Generator And Here’s The Reasons Why. The 10 Secrets About Blog Title Generator Only A Handful Of People Know. How To Get More CTR by using These Blog Title Generators. 5 Precious Tips To Help You Get Better At Blog Title Generator. Seven Unbelievable Facts About Blog Title Generator. Seven Lessons That Will Teach You All You Need To Know About Blog Title Generator. The Seven Steps Needed For Putting Blog Title Generator Into Action. 15 Easy Ways To Facilitate Blog Title Generator. 7 Ways Blog Title Generator Can Improve Your Business. Think You’re An Expert In Blog Title Generator? Take This Quiz Now To Find Out. Never Underestimate The Influence Of Blog Title Generator. 20 Wonderful Blog Title Generator. Number 16 is Absolutely Stunning. See also : How to find profitable niche market instantly. SEOPressor also helps you narrow down your focus with the help of its suggestions. The generated titles are specific and clever to help you resonate better with your audience. This is another great tool to generate titles for your blogs. This tool not only helps you in generating blog titles, but it also helps generate new topic ideas for your blogs. On HubSpot’s website, you’ll get three text fields where you will have to type in three keywords you wish to work with. Then you can click on the “give me blog topic” field. The tool will then offer you with a complete list of related topics for your blog post. Since it is HubSpot, you can always rely on the titles to follow SEO best practices. What Will Blog Title Generator Be Like In 100 Years? If you do not like the original generated ideas, you can try again to get 5 new ideas. If you are out of topics to write about, then this tool is perfect for you. Rather than offering you with topics or keywords, all you’ve to do is simply click on “Generate Blog Posts Ideas” and it will spit out a writing prompt, generally in “complete this sentence” or “fill in the blanks” type format. Though you need to do some noodle work here, this tool is a dependable source of often quirky and completely unique ideas for your future blogs. 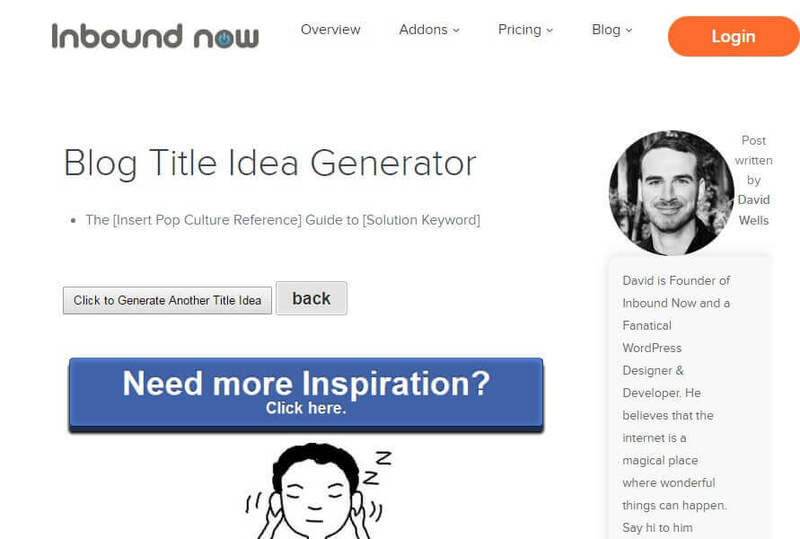 Inbound Now, a user friendly blog title idea generator tool, helps generate SEO friendly blog titles. You do not even have to enter the keyword to generate titles. All you have to do is simply click “Click To Generate Title Idea” button. You can get new and more ideas by doing so. If you need more ideas, click “Need More Inspiration”. Is [blog title analyzer] Worthless? With this, you can type your topic and then click on search button. You’ll then get lots of suggestions quickly from Google search. If you are looking for large number of blog post titles in one click only, then this tool is for you. Unlike other tools that generate handful of ideas randomly at a time, Tweak Your Biz offers hundreds of titles in one time. The blog titles are broken into different categories like, questions, lists, motivation, how-tos, etc. This help in choosing the best title for your blogs. While the titles offered are a bit generic as compared to other options, this tool takes the cake when it comes to quantity. This is a perfect tool used for generating viral blog post titles; therefore, if you want to generate a title to make a viral post, try this tool for sure. 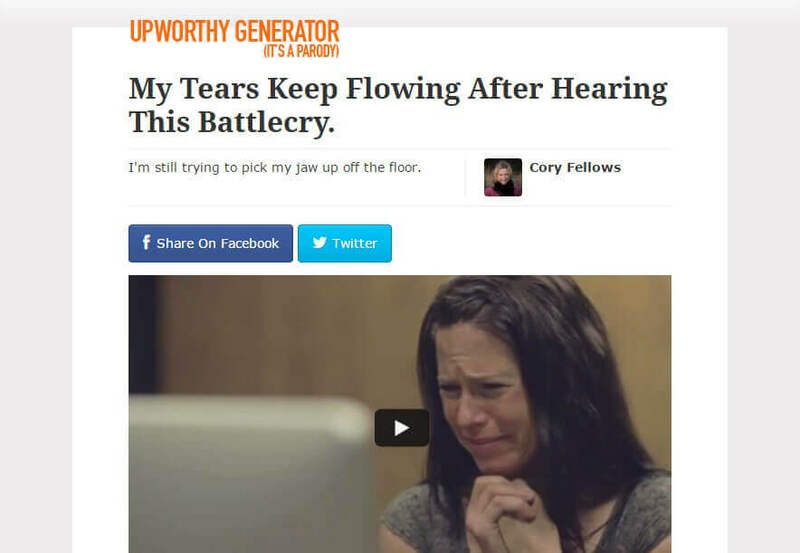 From UpWorthy site, this blog title generator tool recommends the blog titles randomly and you’ve to make needed changes in the titles like you want. Using this tool, you only can take reference from suggested titles and create a catchy title quickly for your blog. You need to refresh the “Generate Another” button for getting the next blog post title. This tool is one among the best blog title generator tool. To utilize this tool, you have to choose the kind of content and fill some fundamental information regarding the content. 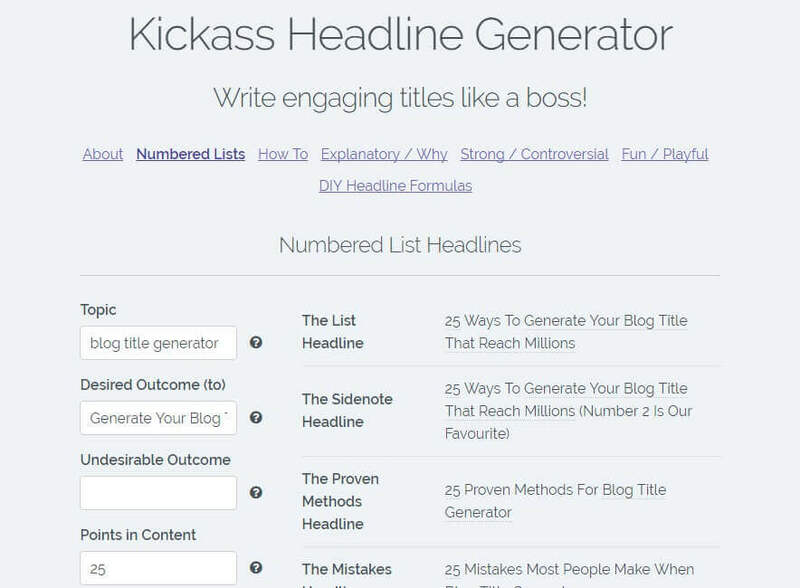 Using this headline generator tool, you’ll get a wide variety of headline to select from. If you’re not sure about which headline to use for the next blog post, then this tool is best for you. It figures out the most clickable headlines, based on which this tool offers you with suitable titles. So, get ready to write engaging titles for your blog posts that get clicked and read immediately using this Headline Generator tool. Link Bait Generator tool is a simple tool which is quite different from the other blog titles generator tool. If you require help turning up with very creative headlines for interesting data or controversial content, you should use this Link Bait Generator tool. If you want to write down blog posts that are fun, engaging, shocking or controversial, you should go for this tool. It offers you with insights on what titles work the best based on the kind of posts you wish to write. This tools helps you find what type of words make people click on your blog post and what gets you fired up. Sometimes, it is impossible to turn up with great blog topics. This tool is an easy and simple to use and it offers you with far better results. The Fat Joe tool turns up with exclusive blog tiles. You just need to type in the keywords and you’ll get many topics which can be utilized as they are offered to you or can be tweaked as per your contents. If you require more ideas, then you just need to “Refresh” the page. Pro tip: learn more about how to rank youtube videos using title generators. Webpage FX’s FAQ Fox is a great blog idea generator tool which generates catchy titles quickly. Simply enter your keyword and choose a category. The tool will pull up a list of websites automatically to scratch in search of keywords you typed in. Surf through the available titles in those websites and see whether any of them is appropriate or your blog or not? You also can enter the websites and this tool will scratch them in search for the keywords. This appears to be an innovative title generator. It is a keywords based tool which generates high quality titles that you can use right away. This tool also lets you save the ideas that you like in “Saved Ideas” sidebar simply by clicking on small arrows on right of every title. This simple to use title generator tool is quite similar to Portent content Idea Generator tool. Input the noun of your choice and it’ll show you all results linked to your keywords. With this tool, you can get around 90 pages that are worth of title as per your search. Update : this tool has been discontinued. This is a quite cool blog ideas generator which generates nearly dozens of titles depending on your keywords. These titles can be saved by you if you like them. This way you can maintain a comprehensive list of topics to select from. Blogabout is designed very well and it comes up with excellent titles. The tool is simple to use with its easy and elegant navigation. The tool’s best feature include facility to email the chosen SEO optimized blog titles, save all titles according to your needs and compare all chosen blog titles for a better selection. Read more about email auto-responder tools here. 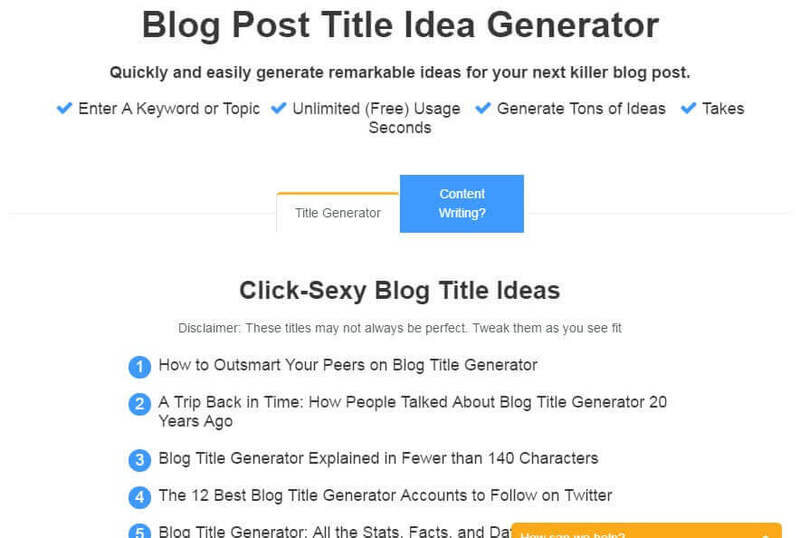 This is another great blog post title generator tool. Some titles generated by the tool are somewhat generic, but they are still high quality and interesting to take up and edit in order to convert them into something that your readers are going to love. What Is blog topics generator? Top blog topics generator Reviews! Top blog topics generator Tips! What To Expect From blog topics generator? Like with the other blog post generator tools, you can easily mix in two or even more topics to create something exclusive. 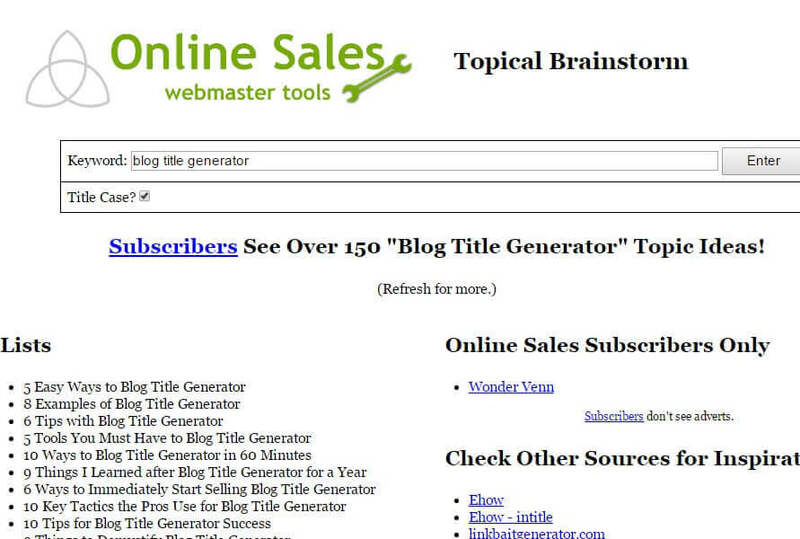 Topical Brainstorm title generator tool by Online Sales is a handy blog titles generator tool. You can simple enter a keyword of your choice and then scroll through diverse categories of results like Lists, Secrets, Errors, etc. This is a gated website and to use it you need to provide your email id for signing up. You then need to answer to 18 questions about your services or products and in less than a second this tool will literally generate hundred of great ideas or your blog posts. Overall, it is an excellent tool that you can use for content idea generation. This title creator is quite straightforward. You just have to enter 3 keywords, preferably nouns. In turn, it will generate a week’s worth posts. Then you can choose titles of your choice from all the results, which usually are quite useful. And it is a great reminder to easily plan on getting anything up on your blog every day. Thinking about catchy titles for your blog post can really be challenging. 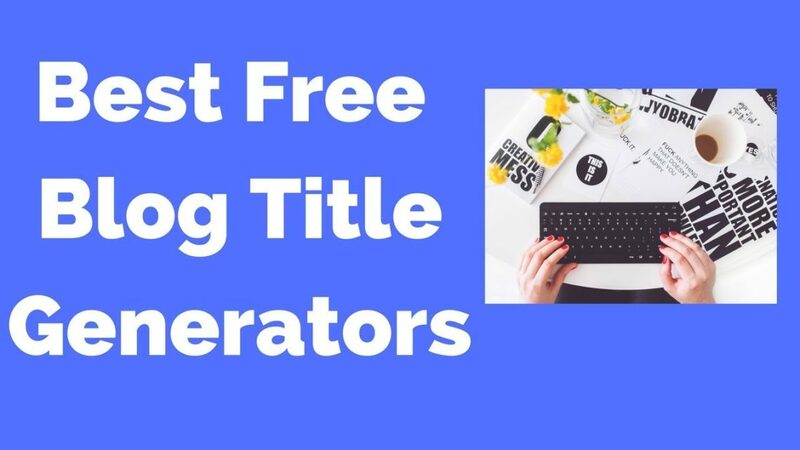 So, if you want to make this task simple and want to make your titles clickable, then this title generator is the tool you should go for. It offers you with eye catchy and attractive titles that will definitely capture your reader’s attention. To get started with this tool, you just need to add your main keyword or theme in the box given on the website and click on search. You can click on search for “N” number of times to get more titles. 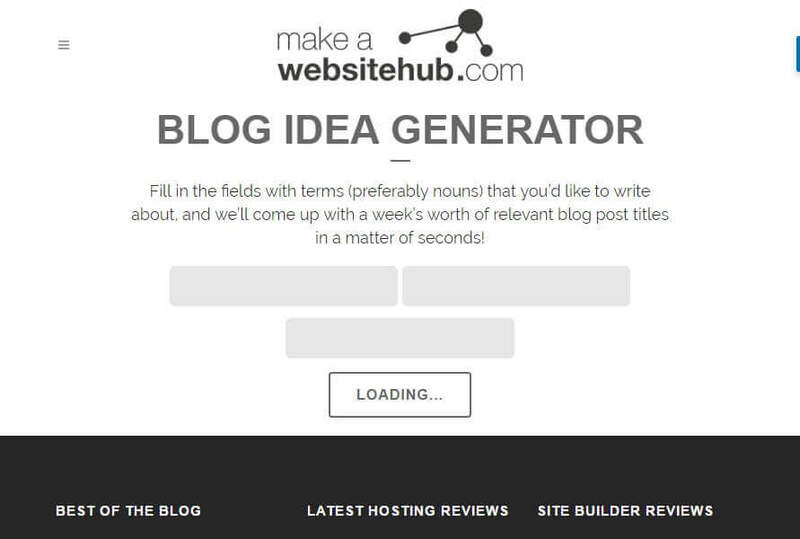 KISS PR’s blog topic generator tool generates remarkable ideas easily and quickly for your killer blog posts. You just need to enter a topic or a keyword and this tool will do the rest for you. You can get as many titles as your want by searching again and again. It is super simple even for a newbie. So, add this tool to your list today and start finding a new topic idea for your next blog post. Your blog title should be catchy and make people read more. Keeping this in mind, there is another blog title generator tool on offer known as Zelezny. An easy to use tool, Zelezny just needs the keyword to generate a great blog title for you. 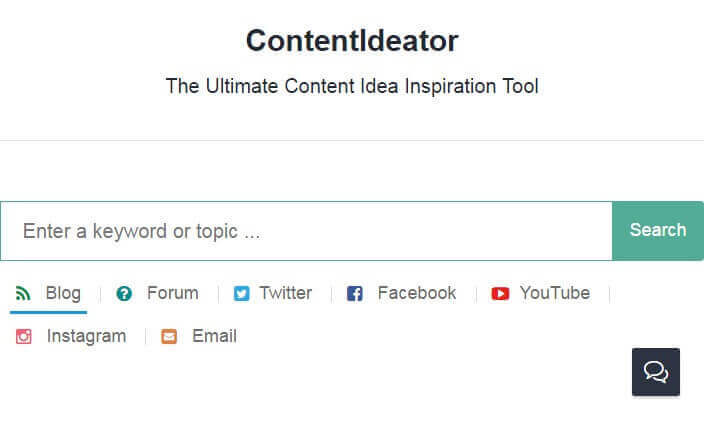 You can find both your content title idea and your topic using this tool. blog topic generator Is Crucial To Your Business. Learn Why! What Will blog topic generator Be Like In 100 Years? If blog topic generator Is So Terrible, Why Don\’t Statistics Show It? Are You Making These blog topic generator Mistakes? What Can You Do To Save Your blog topic generator From Destruction By Social Media? Use this tool to generate a topic that readers will definitely flock to read. Aren’t sure about what should you blog about? Prozely can help you. This title generator is as easy as it is possible. Simply type the keyword you wish to write on and you will instantly get five potential topics. In case you do not like the titles, hit MORE TITLES button to get another list. 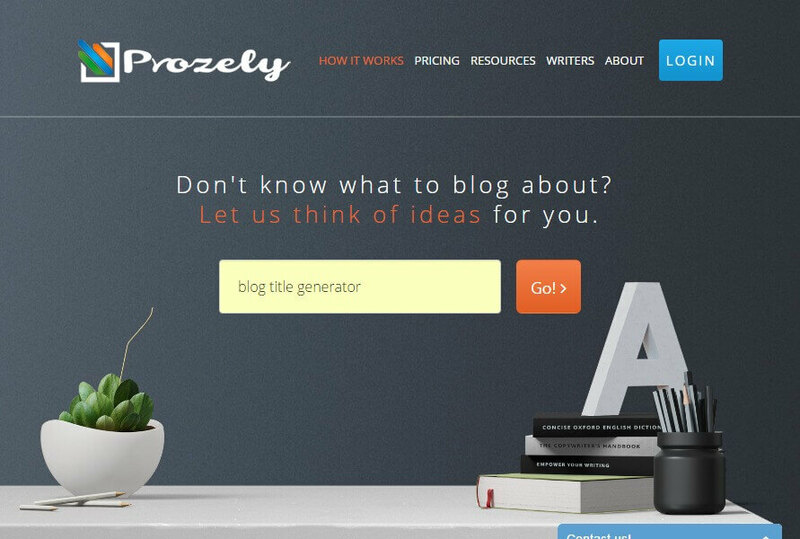 And the best thing about Prozely is that you’ve a paid option of making someone write a blog for you in case you like the topic. It can’t be better than that. If you wish to create clickable, catchy titles,then this tool is ideal for you. It is an excellent headline analyzer tool. It analyzes the topic, scores and grades your titles for maximum impact. It will also teach you about how to generate emotional headlines that will make your readers click. This tool looks out for a good balance of different kinds of words within four categories which include common word, emotional words, uncommon words and power words. Other than the headline score, this tool also offers you with the percentage of common word, emotional words, uncommon words and power words. This tool helps analyze your headlines to determine its Emotional Marketing Value or EMV. Reaching customers in an emotional and deep way is the key to successful writing and your title unquestionably is the most imperative piece you use to quickly reach to your prospects. The headlines are analyzed and scored by this tool based on total number of the EMV words it contains in relation to total words it has. This will determine EMV score of your title.